The cTrader Scalpers Buddy will inform the trader with a message and sound when high volatility occurs, it will also display the current spread and total depth of market volume for the buyers and sellers. 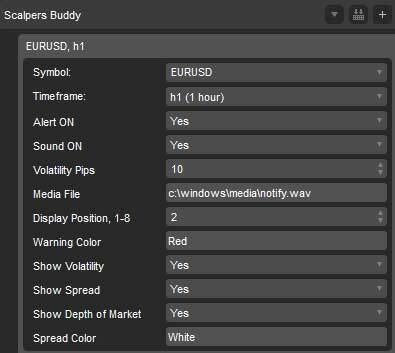 With the cTrader Scalpers Buddy indicator, you can see all the most useful information while trading on the charts. A unique feature of this indicator is that it will tell you when the buyers and sellers are very active for a symbol, this will be in the form of high volatility. You could be looking at other charts or making a cup of tea and a configurable audio warning will tell you which symbol is on the move. This is calculated using the DOM values that are provided through cTrader as shown below. You can show both the volatility and spread or just spread or just volatility, this can be selected from the parameters below. 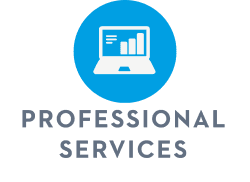 Configure the volatility depending on your scalping requirements. Position warning message anywhere on the screen. Configure colour of warning text to suit your background colour. Show or hide the current bid/ask spread size. Configure the colour of the current spread size text.